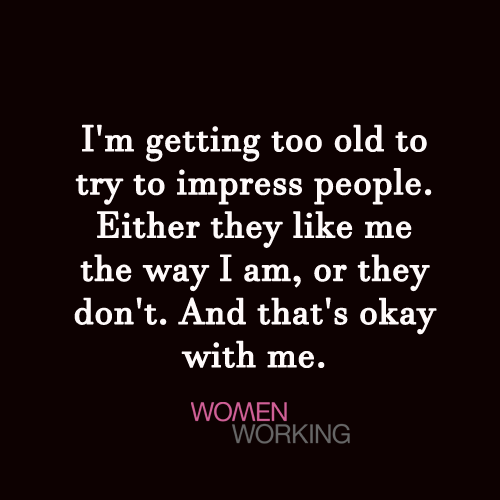 I'm getting too old to try to impress people. I’m getting too old to try to impress people. Either they like me the way I am, or they don’t. And that’s okay with me.